Look, we get it. There’s a market for trashy obscene crude young men who make a living off of being controversial and rude. This is America and we don’t believe in censoring anyone’s free speech. However, we do think that with fame comes responsibility and many of these young “actors” simply don’t care what kind of an impression they make on the younger people who look up to them, emulate them and want to be like them. Our kids are NOT their kids and they don’t have a moral obligation to conduct themselves according to what our values are as parents. However, what does it say about a network whose primary demographic is young people from preschool to mid-teens, when they don’t take seriously the kind of people they employ and what kind of an impression those young people are given? Don’t our children deserve better? Like it or not, kids are going to look to how popular actors behave. They’ll follow them on Twitter and Facebook and they’ll think certain behavior is acceptable and that their parents are simply “uncool and old” not “hip and trendy”. Young men will think that treating young women the way certain people they look up to is appropriate. A perfect example of this is Jason Biggs who is the character voice for Leonardo on the popular Nickelodeon television show Teenage Mutant Ninja Turtles. Biggs got himself into a bit of trouble last year when he tweeted some pretty rude comments about Ann Romney and Janna Ryan. 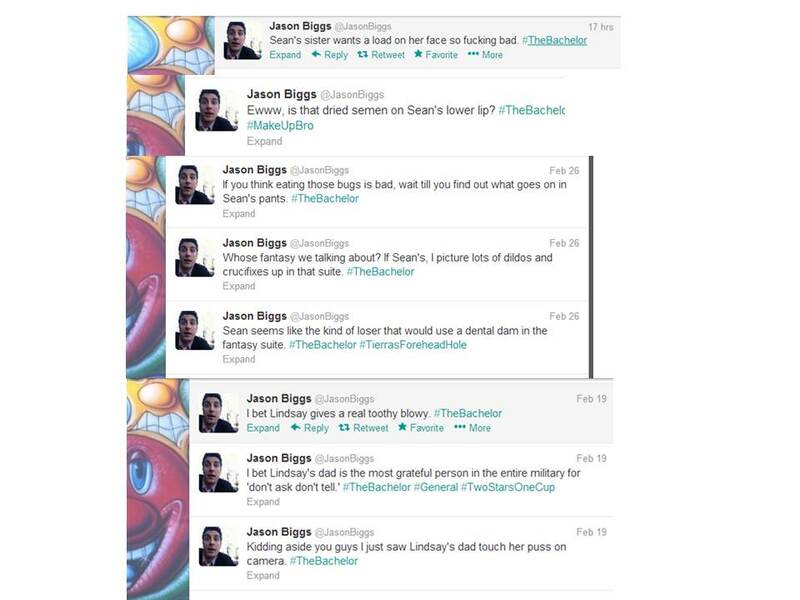 Nickelodeon apologized for his comments but that hasn’t stopped Biggs from his juvenile rude outbursts. 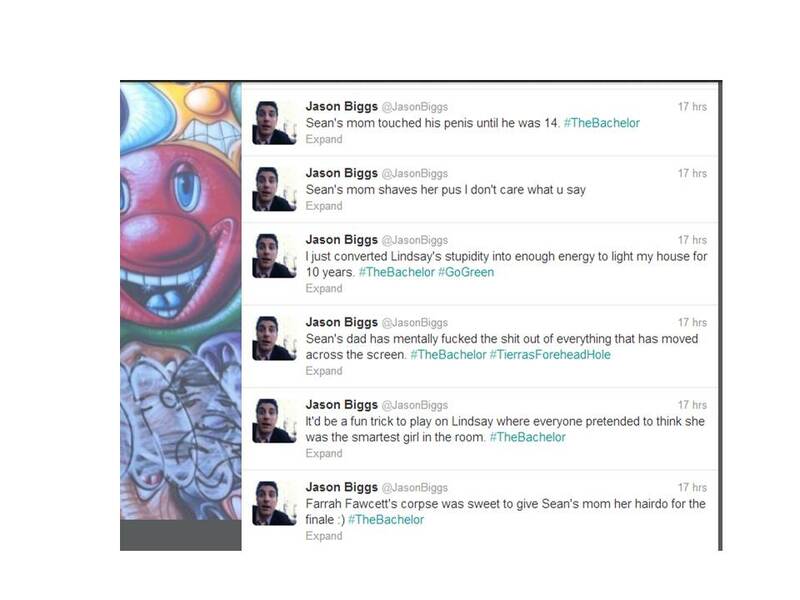 Mr. Biggs’ Twitter account is open to the public and while it’s his right to be rude, obscene and offensive all in the name of “humor” and “money”, it’s our right as parents to turn the television off and our obligation to protect them from this type of thing. Which is why we are encouraging all moms and dads to turn off Nickelodeon or at the very least Teenage Mutant Ninja Turtles until those who make the decisions to elevate actors and expose our children to this type of thing, actually take their influence more seriously. Sign our pledge below and stand with thousands of other moms and dads who expect better influences from those who target our kids for their products. Sometimes hitting people where it hurts is the only way to make a change. Biggs has a right to be stupid…we have a right to turn the channel. is terminated from his role as Leonardo in Teenage Mutant Ninja Turtles. Our children deserve better than empty apologies from television corporations and foul mouthed comedians.